The Texas Rangers haven't made any headlines at this week's MLB Winter Meetings, but general manager Jon Daniels said on Wednesday that the club expects to make a signing within the next week by bringing in a right-handed reliever to be a "late-inning, one-inning pitcher." Daniels added that the pitcher is not a former Rangers, ruling out a guy like Mike Adams, who is a free agent this winter. 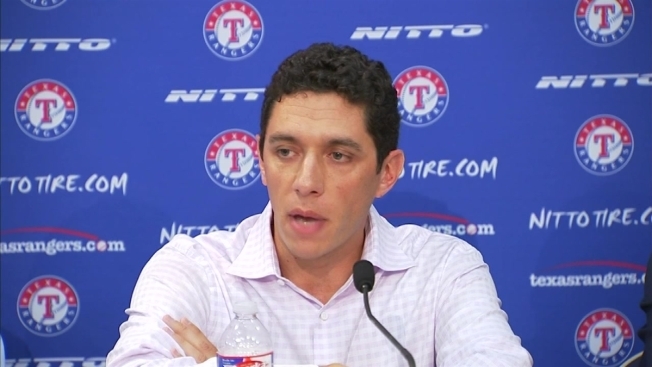 He also told reporters that the mystery pitcher isn't someone who would take over the closer's role if Neftali Feliz is injured or ineffective, adding that designation would go to Tanner Scheppers. The Rangers have a lot of pieces who will seemingly be competing for relief roles in 2015, and it would seem this piece would be a pretty nice one as Daniels someone intimated that whoever it is will be plugged right in to a high-leverage role. Last time Daniels made a proclamation like this, it was when he said the team would finalize something within the week with Colby Lewis, and he came through on that. So we'll know soon who this mystery pitcher is. Get excited, folks.